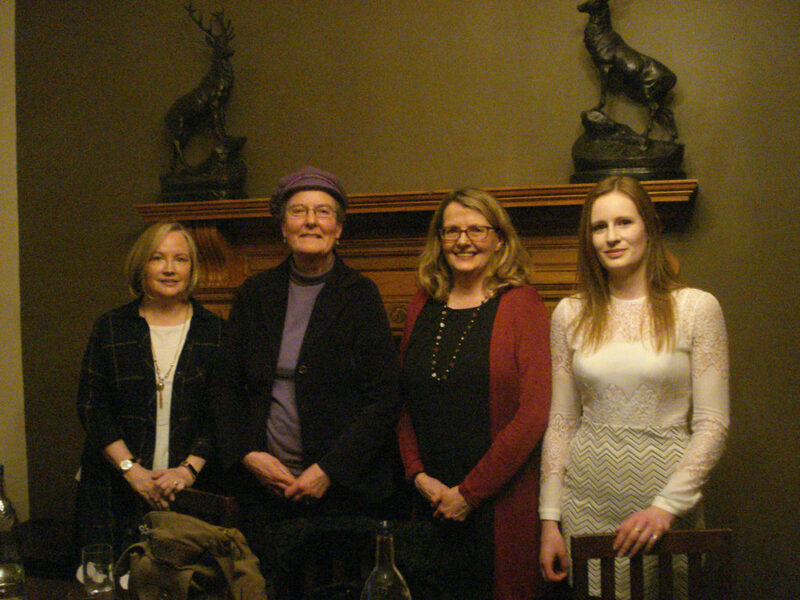 ‘Women Writers in the Highlands’. We were a varied group, both in age and as writers. Helen Forbes and Margaret Kirk are both accomplished writers of crime thrillers set in Inverness, Morven-May MacCallum has written a moving account of a teenager suffering from the aftermath of Lyme’s disease and my speciality is historical novels set in the Highlands. However we have Highland ancestry in common and Highland women are renowned for their toughness and resilience! We covered a range of subjects, including how male authors expect praise for portraying “strong women”. Does this imply that strong women are unusual and therefore most women are weak? Also debated was the issue of why Highland stereotypes are still so popular, especially the kilted, brooding Jacobite hero (red-haired of course). There were plenty of lively observations from the audience which contributed to a memorable evening.